Thick Vacuum Evacuation Cupping Device, a medical device, is a fire-free cupping device that uses vacuum to create a vacuum negative pressure state. It dredges meridians, reduces swelling and relieves pain, and relieves fatigue. 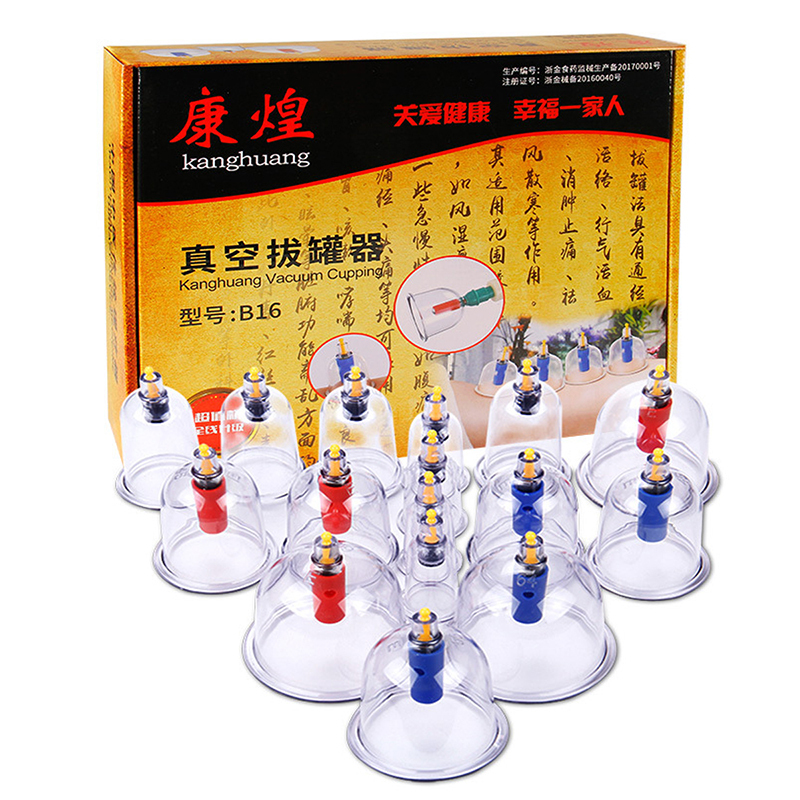 Thick Vacuum Evacuation Cupping Device.According to the acupuncture points of the human body, the size is carefully designed and applied to each acupuncture point. The high-quality materials, combined with the round and comfortable tank mouth, enhance the product’s adsorption. Environmentally safe material, resistant to high pressure, not easily broken. The cupping handle is designed to be easy to operate without the help of others. The main features of the vacuum cupping device are: the tank body is transparent and easy to observe the change in the tank, which is convenient for grasping the cupping time, and is safer to use, without the risk of burns. It is easy to operate and not easy to break. It is suitable for both hospitals and families. Scope of application: relieve fatigue, low back pain, knee pain, sciatica.